A SCOTS goldsmith carried a sword through the streets of London to claim his right as a Freeman of the City. Kenneth Moffatt was the first person to carry a sword from Edinburgh to London in over 400 years – the last being James 6th of Scotland who made the same journey to claim the throne. After being escorted into the City by a Yeoman Warden and blessed at St Paul’s Cathedral, he now has Freedom of London under an ancient law. Kenneth crafted the sword himself, putting over 2,000 hours of work into the intricate design. 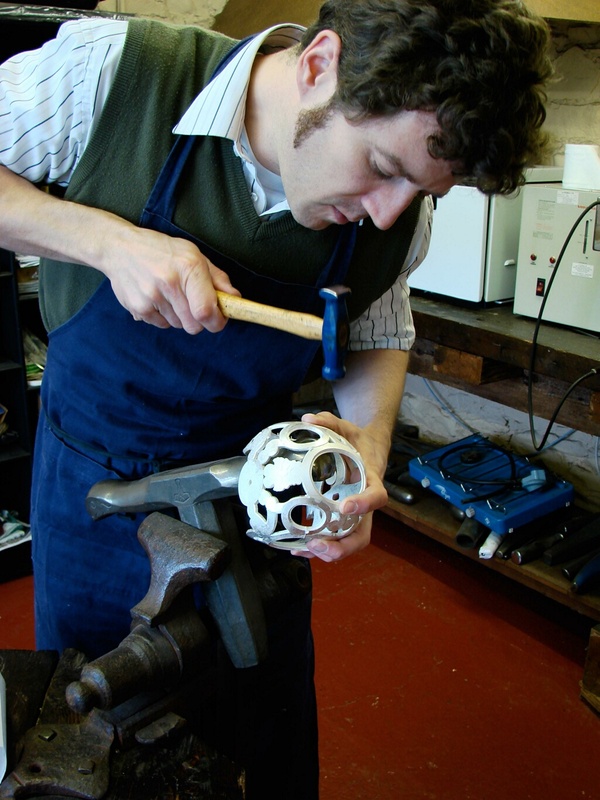 And his journey was primarily to enter the sword into the Goldsmith’s 2010 competition at Goldsmith’s Hall. 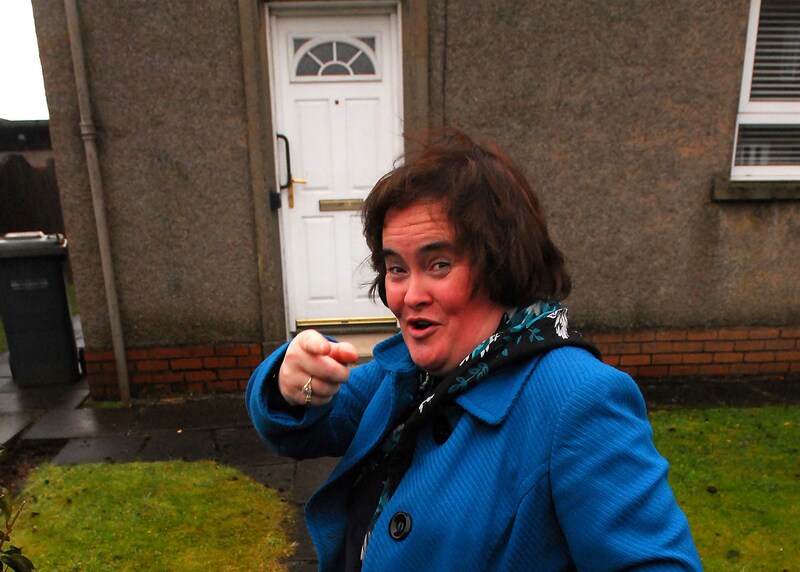 DESPITE vowing never to move from her humble home, Susan Boyle is being pressured by family and friends to quit her council house in favour for somewhere with more security. Simon Cowell has joined her brothers, Gerry and John, in voicing his concerns over the Britain’s Got Talent star’s safety. They are worried about the star after an intruder broke into her home on Tuesday night where she confronted them after returning from London. The youth fled, and police are still trying to find out who was responsible for the attack. But the star vowed she wouldn’t move from the house she grew up in, even though this wasn’t the first safety scare she’s had. FIRMS in Scotland have been awarded just 17 contracts to work on the London Olympics – despite bidding for 2,806. Scottish companies’ share of the contracts to deliver the 2012 games currently amounts to just 2 per cent of the total budget. Another 35 companies have been awarded subcontracts, but the total amount for Scottish firms amounts to just £100million of a total £5billion. Business leaders and politicians have criticised the uneven distribution of contracts to firms north of the border. SALES of mussels are expected to double in the run up to Valentine’s Day as lovers shun traditional romantic dishes. Couples are turning to mussels because they are cheaper than traditional choices such as oysters and lobster, according to industry experts. The Scottish Shellfish Marketing Group has said that they expect to sell 90 tonnes of mussels next week, instead of the 45 they sell in a normal week. SCOTLAND’S oldest wine firm has collapsed after two centuries of trading to some of the nation’s most famous figures. Cockburn’s of Leith, which famously sold Sir Walter Scott 4,200 bottles of wine and 430 bottles of spirits in one visit alone, has gone into administration. The Edinburgh wine merchants, who also supplied Charles Dickens and a banquet for King George IV, were the first commercial importers in Scotland, setting up shop in 1796. But severe budget cuts to their banking sector clients and competition from large supermarkets led Cockburn’s directors to call in the administrators on Friday. 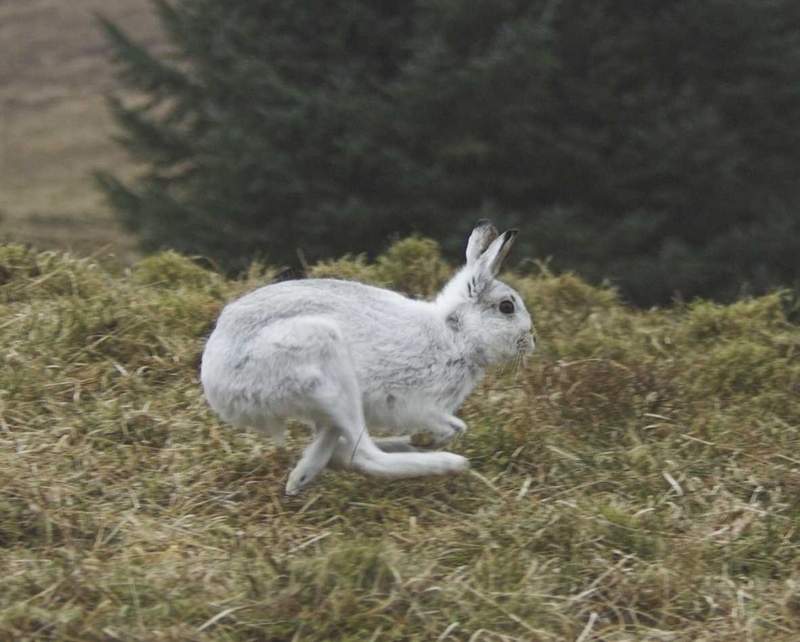 A MOUNTAIN hare found on a high street in the snow has been released back into the wild after being treated for concussion. A concerned passer-by called the Scottish SPCA after finding the animal hopping along Lauder High Street in Berwickshire. Confused and out of his natural habitat, the animal was sporting his white winter camouflage. Ambulance driver Mairi Stewart, who picked him up, thought he might have been concussed and that might be why he was found on the busy road. EDUCATION Secretary Michael Russell MSP has admitted that the “freefall” of teacher numbers in Scotland will not be reversed and could get worse. After seeing the number of teachers plummet by more than 2,000 in the last two years, Mr Russell admitted: “There has been a reduction that I don’t see us making up again, to be honest. The admission is the latest in a series of blows to the SNP’s education policies which were a lynchpin of their election campaign and was branded “astonishing” by Labour. They say the Scottish Government have now scaled back on almost all of their manifesto pledges including promises on class sizes for younger children. Only seven per cent of P1 to P3 classes now have a class size of 18 or less despite this being an across the board promise.